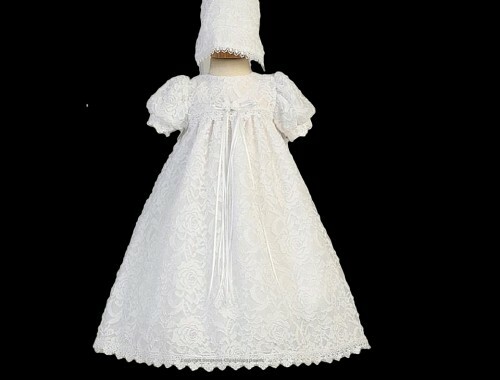 This christening gown is exceptionally beautiful. The high waist is embellished with white scalloped lace trim, delicate ribbon and two small roses. The short sleeves are softly gathered and scalloped lace trims the sleeves. The hemline also features the scalloped lace. It is 54cm from shoulder to hem.